Our tour begins on the western fringes of the village of Wytschaete (now Wijtschate) at the cemetery that bears the village’s name (if you haven’t read the prologue to this tour, which includes a tour map and a brief background to the Battle of Messines, you might like to click here before you continue). 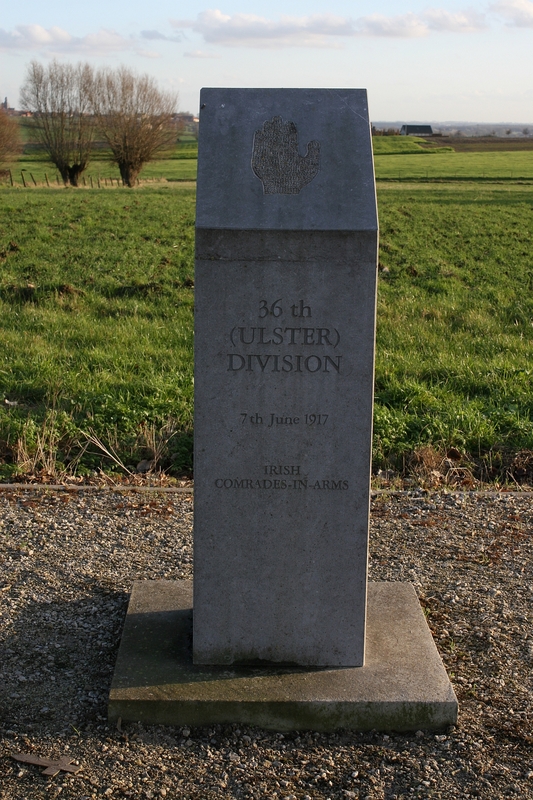 To get your bearings, Messines (now Mesen) itself sits at the southern end of the ridge, about a mile and a half south of Wytschaete, if you continue north you will pass through the village of St. Eloi and eventually find yourself entering the Lille Gate at Ypres (Ieper), and the view above looks west towards, not much more than half a mile away, the positions of the front line trenches as they were in June 1917. 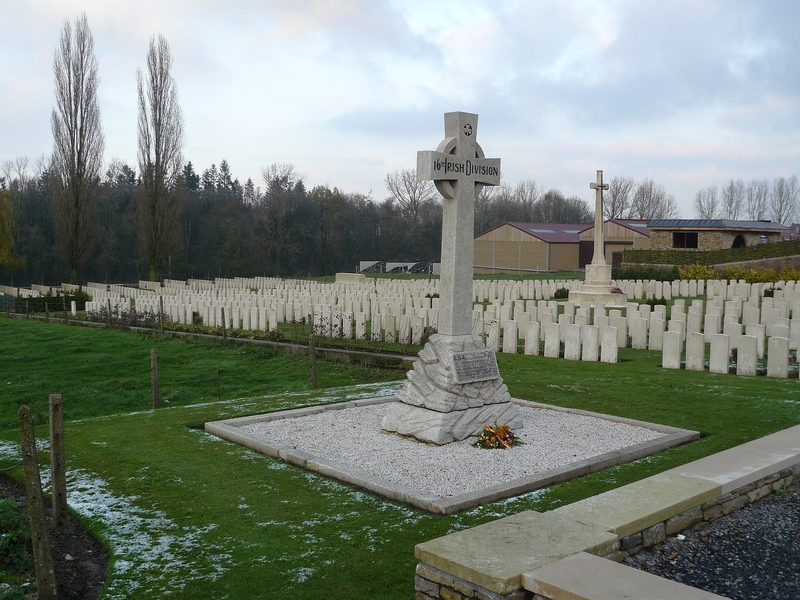 …which explains why 673 men of the 1002 who lie or are commemorated here are unidentified. Looking west across the headstones of Plot IIA towards the memorial to the 16th Irish Division (see below); you will note Mont Kemmel on the horizon away to the west. 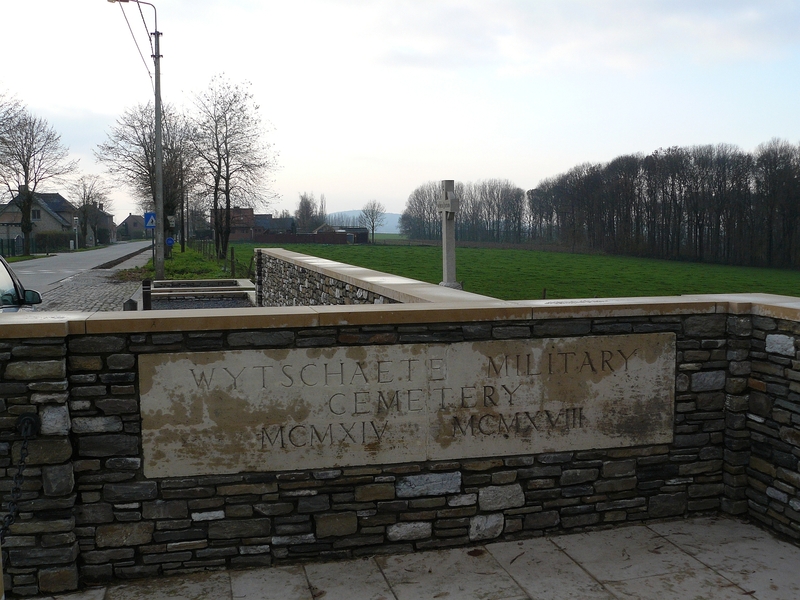 The inscription says “In commemoration of the victory at Wyschaete June 7th 1917. 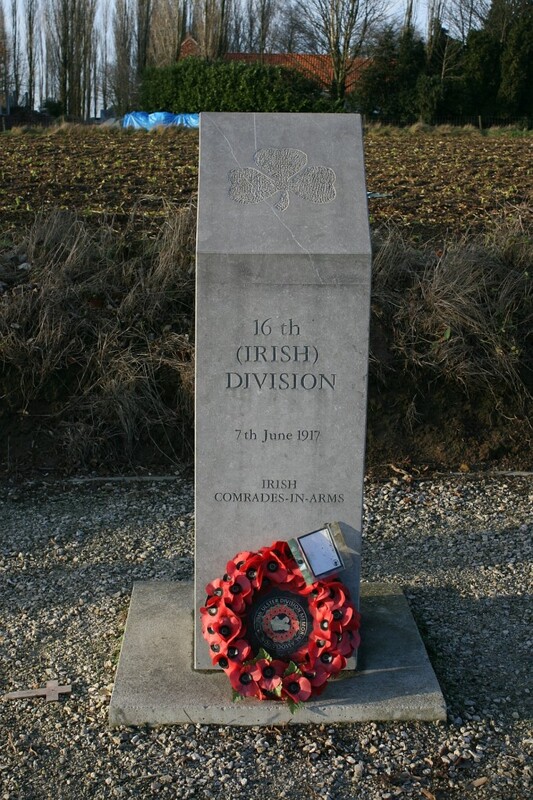 In memory of those who fell therein and of all Irishmen who gave their lives in the Great War, R.I.P.”. Along the eastern cemetery boundary, behind the Stone of Remembrance, a number of special memorial headstones remember soldiers buried elsewhere but whose graves were later lost (see following photos). 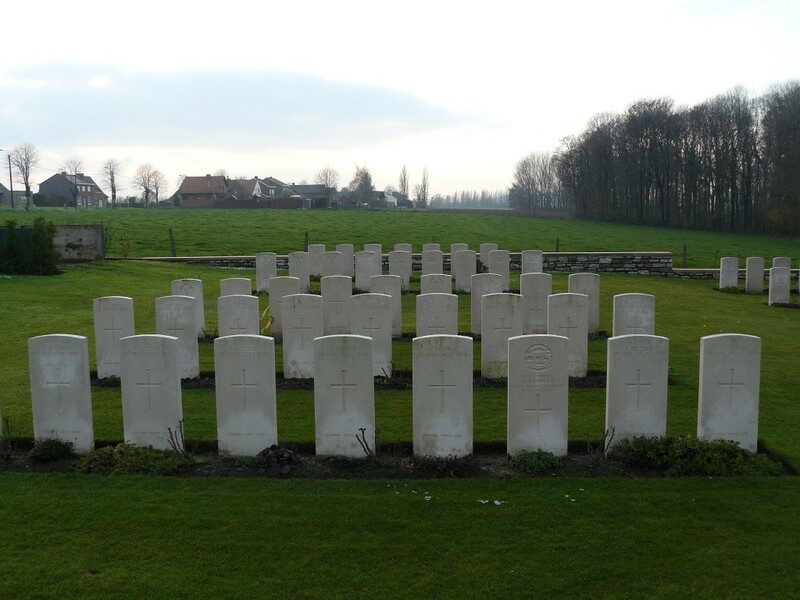 Memorials to two British soldiers, buried originally at Rest and Be Thankful Farm, Kemmel, in 1915 & 1917, whose graves were destroyed in later battles. 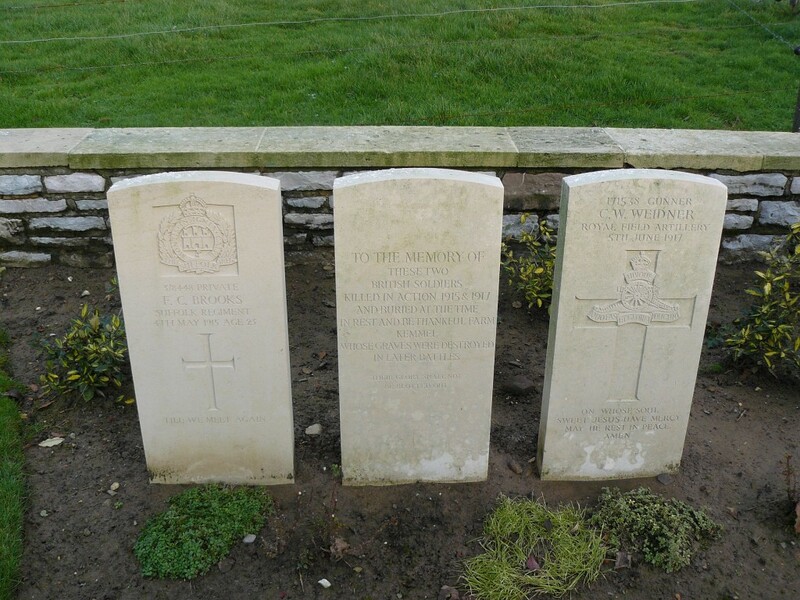 More special memorial headstones to three Royal Engineers, two of whom were recipients of the D.C.M., killed on 12th March 1915 and buried at R. E. (Beaver) Farm, but whose graves were subsequently lost. 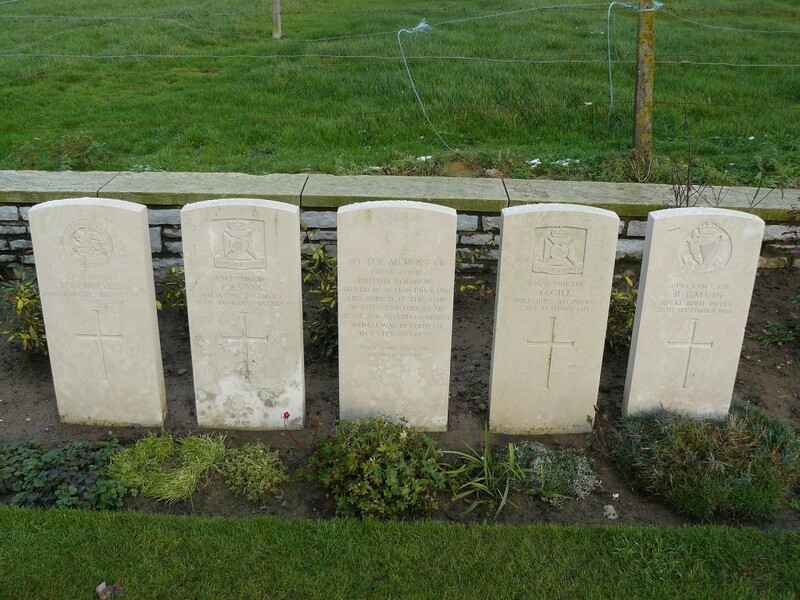 Special memorials to four men killed in 1915 & 1916 and buried at The Cemetery Near Rossignol Estaminet, Kimmel (sic), which was destroyed in later fighting. 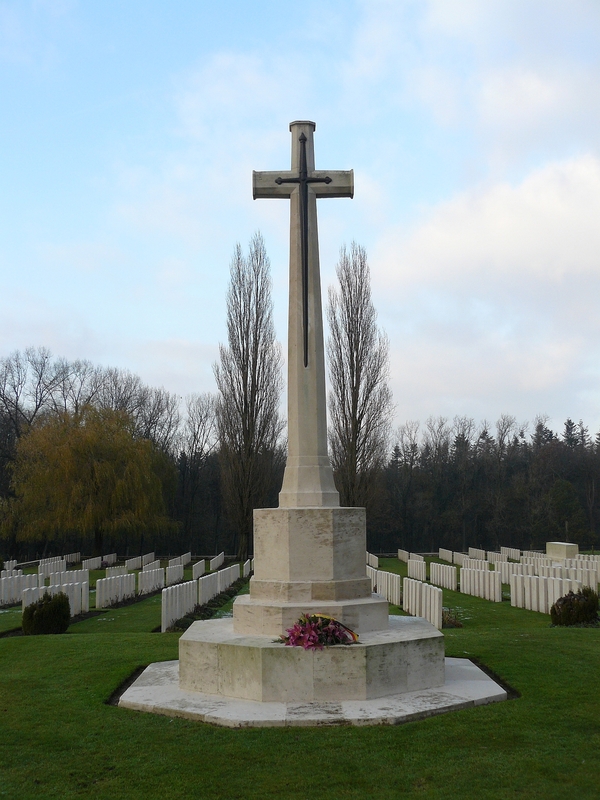 View from the northern corner of the cemetery looking south, along the eastern cemetery boundary to the left, back towards the cemetery entrance, which you can just make out on the horizon to the left of the Cross of Sacrifice. 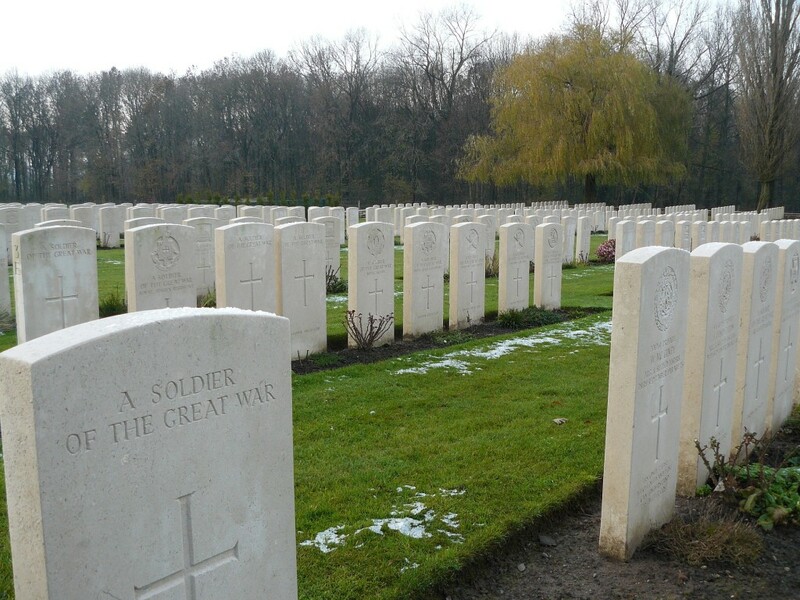 All the headstones to the right this side of the Stone of Remembrance are in Plot VI. 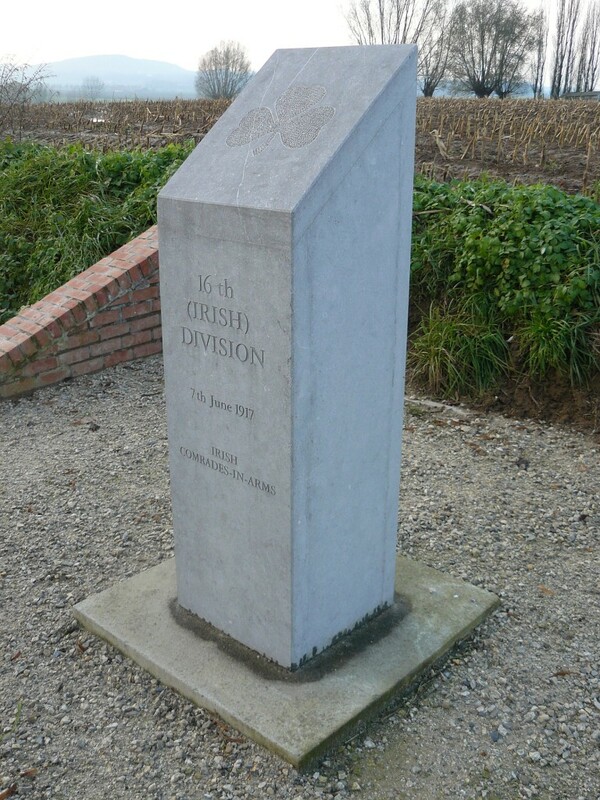 You can also spot the 16th Irish Division Memorial in the background. 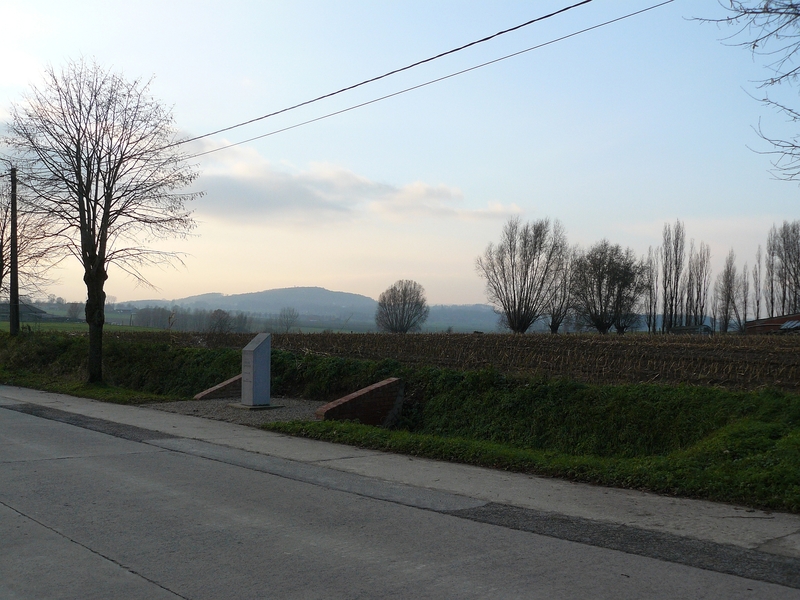 This view, from the same position, looks roughly south west, across Plot VI, the unidentified burials of Row A nearest the camera, towards Plot V in the background. 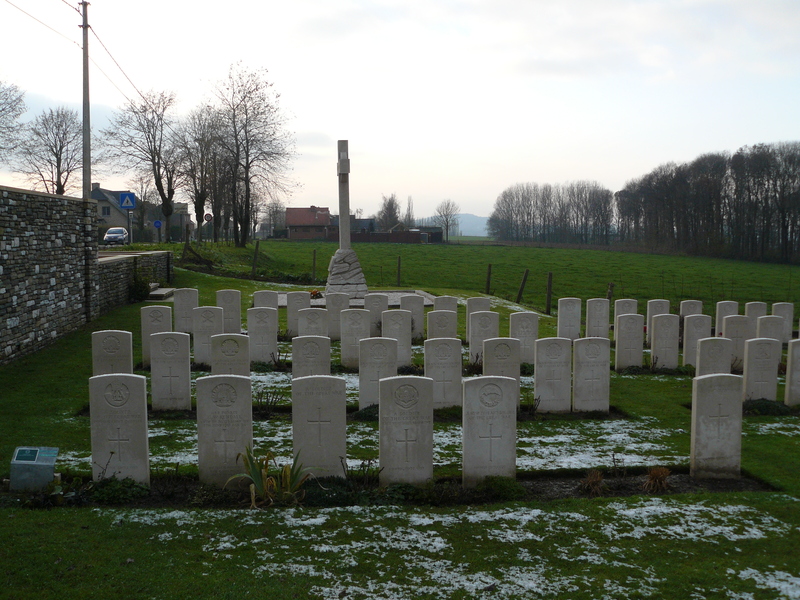 The houses on the horizon follow the course of the road down which we shall be travelling when we leave the cemetery. 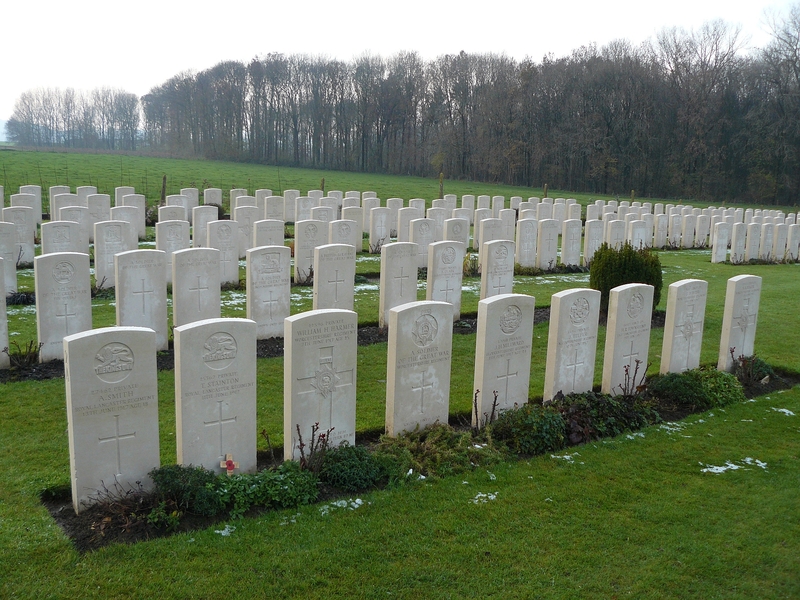 Of the eighteen burials in the first two rows pictured here in Plot V, all but one are unidentified. 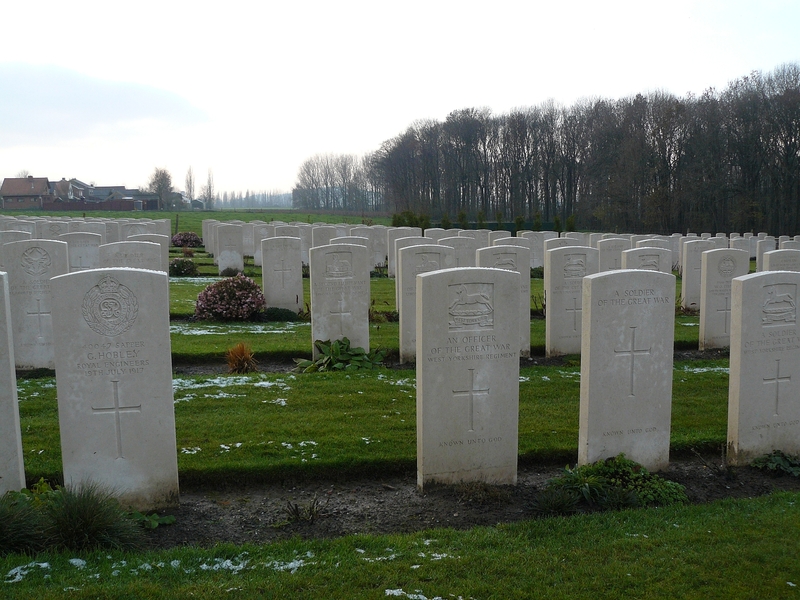 You will note that the two rows in the background do not appear on the cemetery plan, and although not recent burials, were clearly not there when the plan was made in the 1920s. 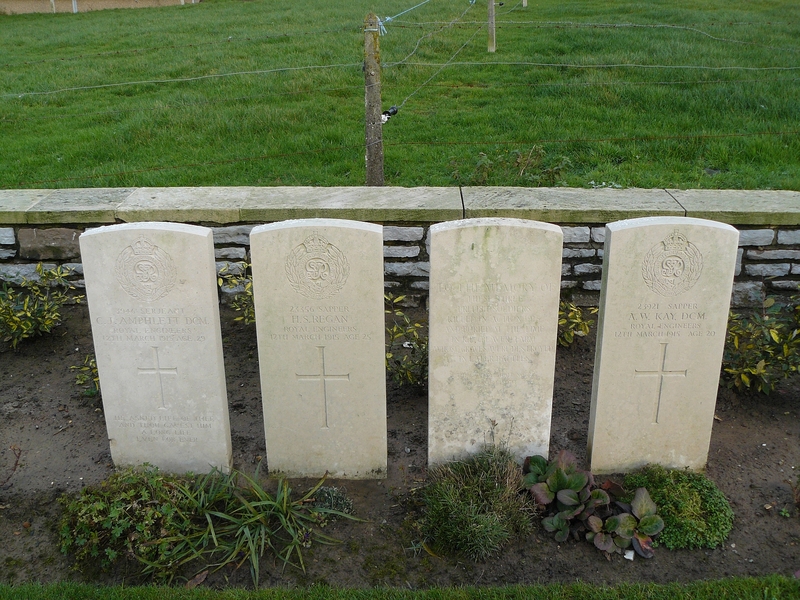 Again, just one of all these headstones in Plot III bears a name. 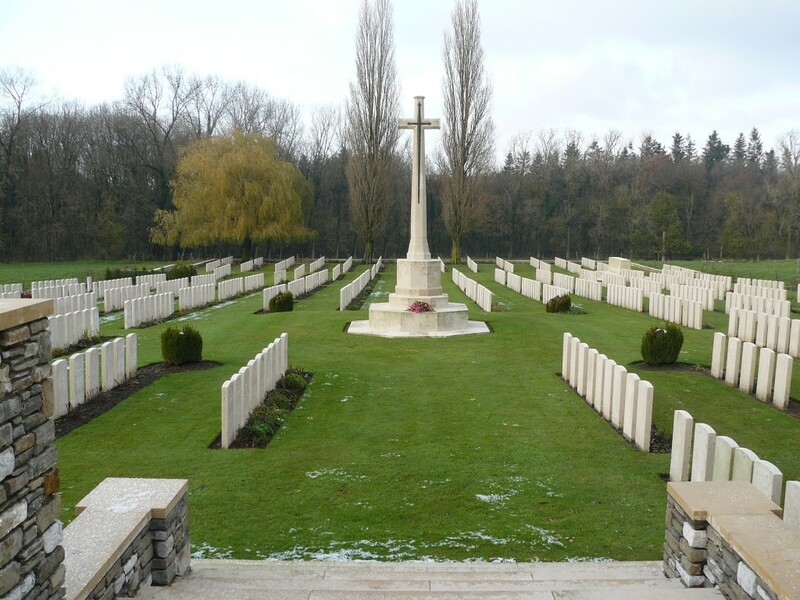 Along with Hooge Crater Cemetery, which also has a very large number of unidentified burials, standing among the headstones at Wyschaete Military Cemetery, surrounded by so many that bear no name, is a salutory experience, I assure you. 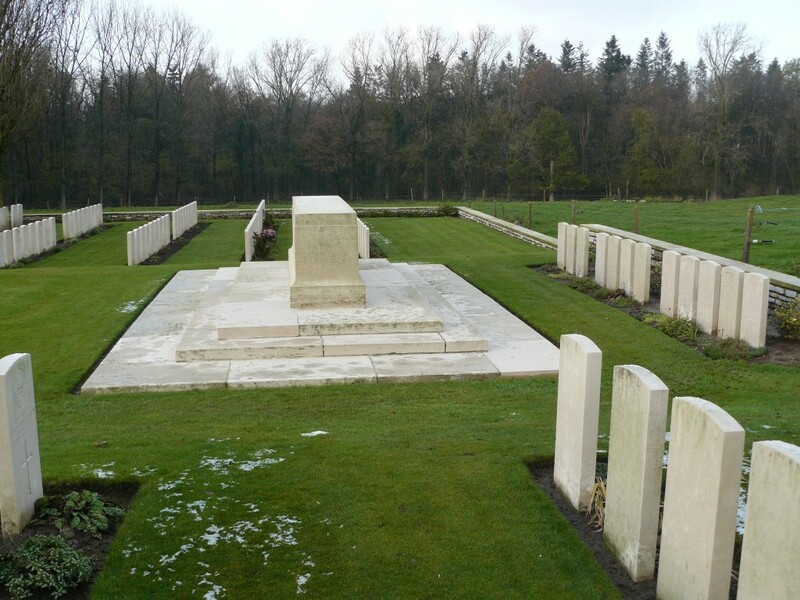 Burials in Plot II, Row A nearest the camera, all from June 1917. The Cross of Sacrifice, Plots IV (left), and III (right) directly behind. 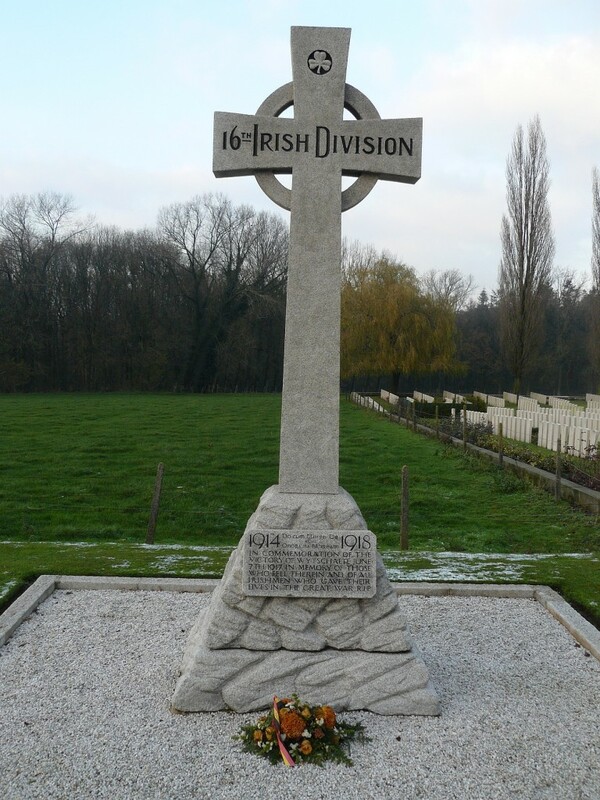 …before it’s time we take the road west, past two more Irish memorials that commemorate the actions of 7th June 1917. …is another memorial to the men of the 16th (Irish) Division (above & below, taken at different times). 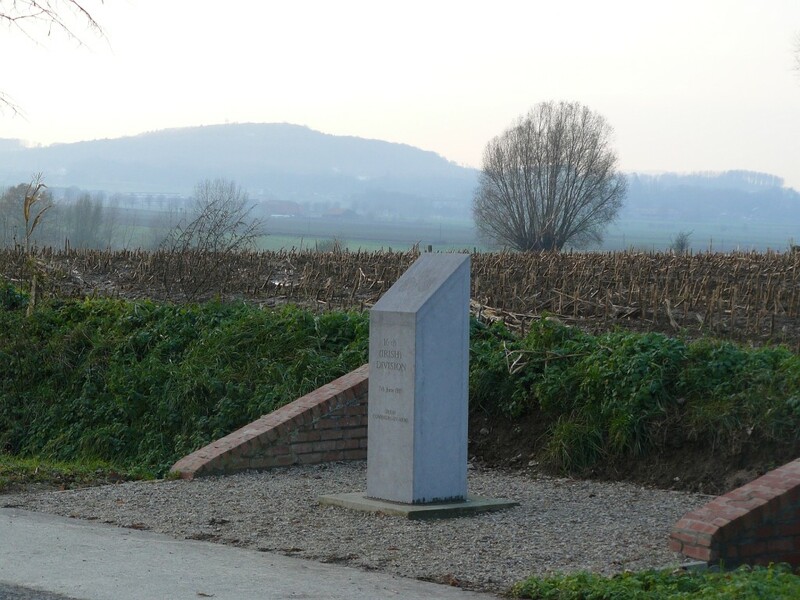 At Maedelestede Farm, just north of the road in the fields behind this small memorial, the crater made when one of the nineteen mines erupted under the German lines on that morning of 7th June 1917 still exists. 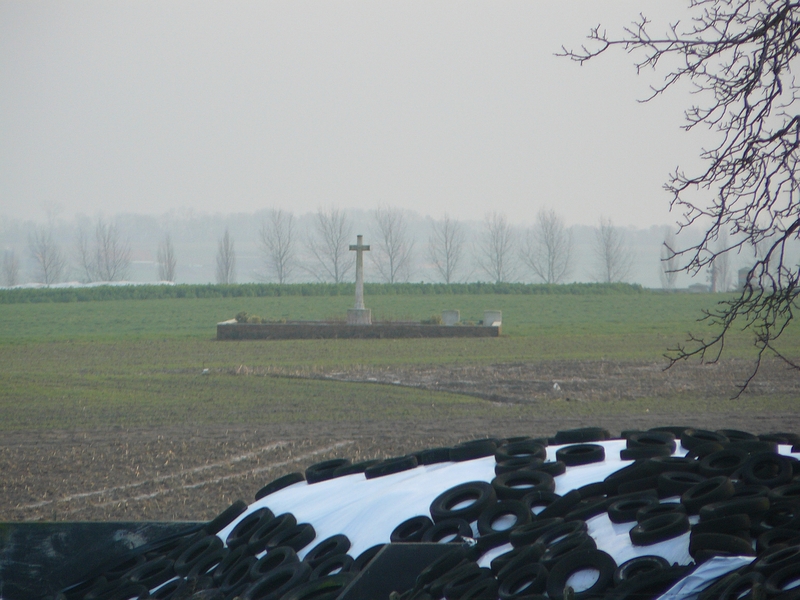 Above & below, again taken at different times: On our left, the 36th (Ulster) Division memorial; behind the two pollarded trees in the photo above you can see the slope of the Messines Ridge with Messines Church on the far left horizon. 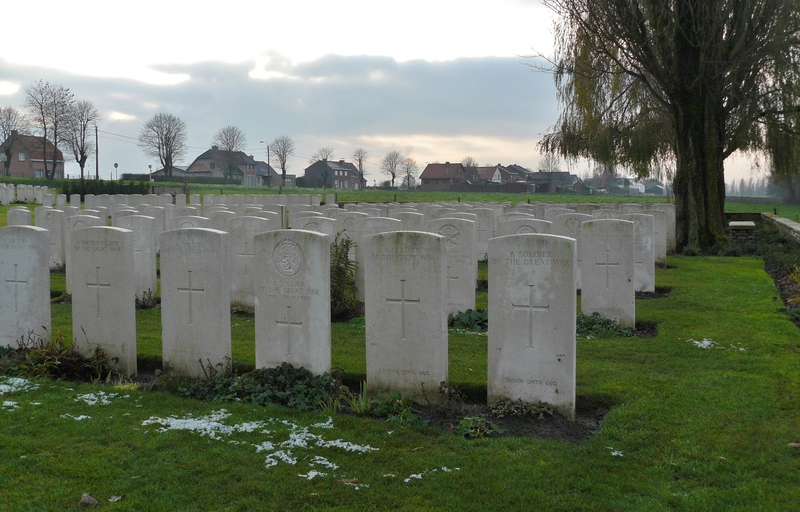 Across the fields to the south we get a glimpse of the tiny Spanbroekmolen British Cemetery, where we will find ourselves shortly, but before we do there is another small cemetery, slightly out of our way to the north west of here, where we ought to pay our respects first. I am presently creating a presentation of the Battle of Messiness Ridge, I do a number of presentations, mostly to The Western Front Association Branches. 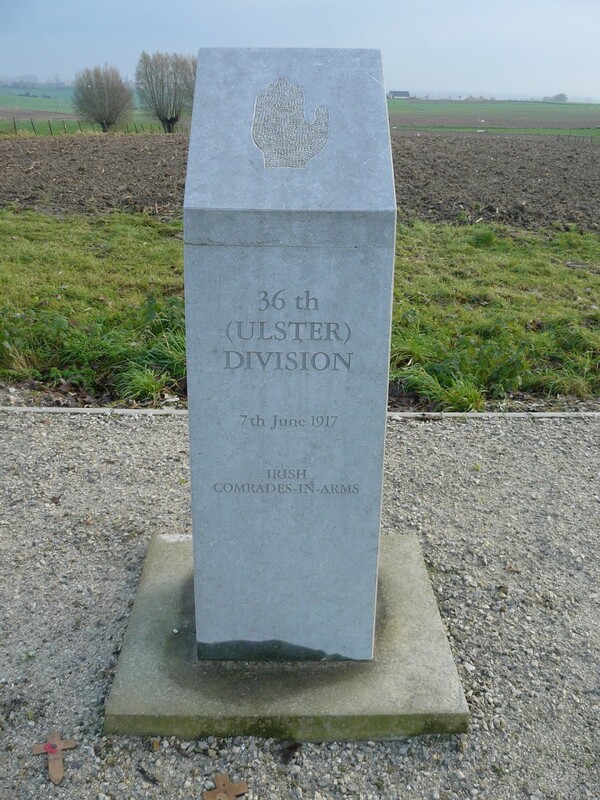 I am very impressed with this website and would request permission to use your Messines tour material during my next visit to the Battlegrounds. I have two brothers and we visit every year, next year will be our 16th visit. 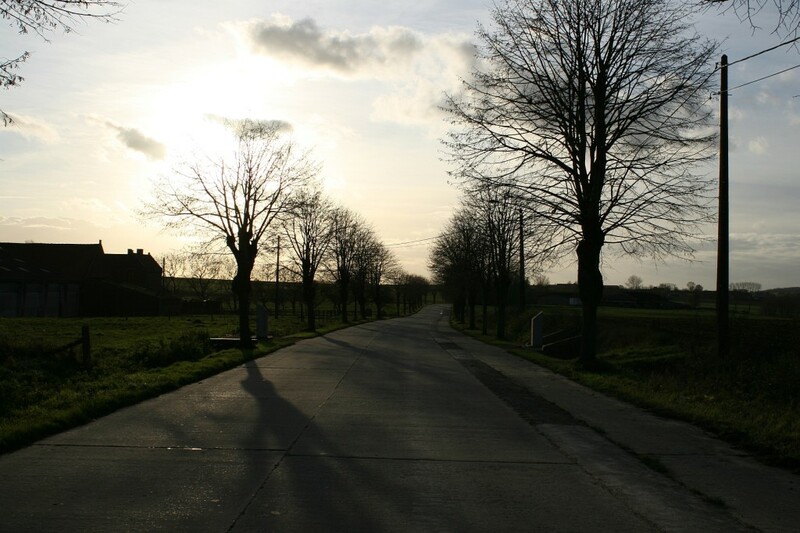 We often take a party, (of 10 max), your tour of Messines would be of great interest. Hello Colin. First of all, thanks for your kind comments. I do my best! Secondly, I would be honoured if you consider this tour would be of use to you on your next trip (mine is just a little over two weeks away. Can’t wait). And thirdly, I am also a member of the WFA, although it has been some time since I attended a meeting. Very remiss of me. So be my guest. Do return here and let me know how your next trip goes, whenever it might be. Excellent article. I have shared to our Facebook page. Thank you for spreading the word James. And thanks for your kind comment. Appreciated.